is not projecting 8c or 8c+. In my previous post, I pointed out that the American climbing standard is beginning to slip. Planet Mountain has pointed out where things are headed next and I agree. In the last few weeks, two separate climbers have done different 9as second try. One was in the Frankenjura,an area not known for its soft grades. And Enzo Oddo did another 9a, his third in two weeks at the age of 14. I cannot think of any American climber, except perhaps Chris Sharma, who is performing at this level. Am I missing someone? The exception to this is perhaps Phil Schaal, a relative unknown,who recently repeated Jade, hanging in there at V15. Beginning to slip?? The American climbing standard NEVER CAUGHT UP in the first place. Sure, we've had a few all-stars, but America is nothing compared to the incredible depth of climbing talent in Europe. And many of our top talents are effectively ex-pats living in Europe now anyway. I agree Sharma is the only American operating at a world level consistently in sport climbing. 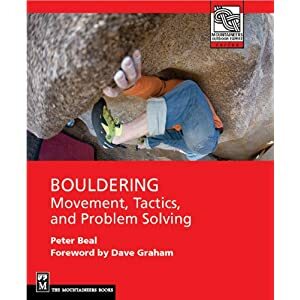 I think bouldering is a different story. Incidently the Planet Mountain article states that Paxti was the first to redpoint 9a 2nd go, but didn't Sharma do just that on Joe Kinder's Golden Direct last year at the Cathedral? That's a good point about Golden Direct.Whether it's a first depends on whether the grade for GD holds, a question that's always an issue when the FAist is new to the grade and doesn't have a record of other ascents at the level. Sharma's reticence grade-wise doesn't help matters. The reason I wanted to make the point about the world standard is how readily the media in the US promotes "pro" climbers who are nowhere near a truly professional, i.e world, standard. What I mostly see is a bunch of attractive-looking young climbers having a good time wearing branded gear and clothing in places that photograph well. I think that this kind of marketing and media actually holds climbing standards down as the image overrules substance. Why bother trying hard to innovate or pioneer when you can get press for the nth ascent of a photogenic 14b or c? phil schaal is not unknown to those who know the good stuff available for KNOWING. interestingly, there is a slew of radass climbers who never show up in the pages of the rags, but who are well known by a very broad demographic of other strong climbers. what do i mean? well, all my friends from colorado, new york, etc all know eachother without me as a middleman because they have all hung out together during roadtrips when they exhibted their radassness together on stones. i'm just fanboying phil right now, but that dood is known by people in the US... as much so as any random czech italian frenchie who shows up on 8a as having sent a v15 is known by their own countrymenandwomen. this thought was not well conceived, but resounds with truth unparalleled. "Why bother trying hard to innovate or pioneer when you can get press for the nth ascent of a photogenic 14b or c?" Because it doesn't really matter anyway? And the current approach is selling gear/clothing? I'm not saying your wrong, but I'm not sure it's really a problem unless we're concerned with some vague kind of national pride over who climbs harder. "... the media in the US promotes "pro" climbers who are nowhere near a truly professional, i.e world, standard." With a few notable exceptions, Caldwell and Honnold among them. "What I mostly see is a bunch of attractive-looking young climbers having a good time wearing branded gear and clothing in places that photograph well." Indeed, the current issue of R&I bears more resemblance to an Abercrombie & Fitch catalog than to a supposed climbing journal, definitely a disheartening drop in quality in Climbing and R&I over the last few years. I agree that climbing ultimately doesn't matter much, especially in terms of national pride, but suppose we argued that difficulty in climbing is a desirable goal and achievements to that end are more admirable than looking good in branded clothing. Is the current mode of marketing and media furthering actual climbing achievement/progress or merely cultivating image? What does that say about culture overall in the U.S.? That our achievements in climbing consist of photogenic people posing in attractive locations? Re Tommy C, I have not been seeing as much of him as I would like to and as for Alex H, well anyone soloing Half Dome in a neat collared shirt has my vote. Both are clearly the real deal but lower down the food chain, well not so much. SH, I am not so convinced that there are unknown climbers in the US operating anywhere near the standard presented in the PM article. Flashing V13, onsighting 5.14c, and second-going 14d is not going to fly under the radar anywhere anytime soon. Projecting 14s in Rifle or 13s in the Park is of only local interest now. I am impressed by Phil as he has quickly made an impression on a fairly competitive scene and in a low-key positive way. Anonymous said: "Indeed, the current issue of R&I bears more resemblance to an Abercrombie & Fitch catalog than to a supposed climbing journal, definitely a disheartening drop in quality in Climbing and R&I over the last few years." "If the magazines want to get us excited, let's switch up the content a tad more... perhaps then we might "rise to the challenge," and see that what is happening in Europe (again) can/should happen here." The euro climbing journals take the trouble to translate articles written in different languages for publication, this would be a good first step. At the very least, the domestic magazines should hire writers/editors who are interested in and capable of other things than stick-clipping bolts in Rifle or jumping onto crash pads...as far as "seeing what is happening in Europe happening here", sorry but that would require miles of limestone cliff bands springing up overnight throughout the U.S, their climbing talent and ability is as much a result of their geology as anything else. not many locals are keen on writing about their areas. flagstaff az has been notoriosly press weary. also, it was very cool to see some of merock's photos and i understand the reasoning behind el jefe's story, but i would have liked it if the mag allowed those fools to describe their scene a bit more in detail, though the story did do a good job of throwing out the executive summary/cliff's notes. as far as abercrombie... the vast majority of men and women climbers are hella weird looking with the only saving grace of low body fat indexes. the pretense exuded by current mag photos seems no where near to me as ridiculous as the hard guy posing from the old 80s lycra article era. it befuddles me that people consider the kids and press of the contemporary scene more blown out of proportion in comparison to the world standards than in the 80s and early 90s. same as it ever was, folks. our kids are alright and the media they produce is dirty dope, but it still cooks up nice and does the job. maybe your veins have become more recessed and elusive? devil's advocacy - isn't it all? "the pretense exuded by current mag photos seems no where near to me as ridiculous as the hard guy posing from the old 80s lycra article era." Lycra companies didn't sponsor climbers or advertise in the climbing magazines, nor was editorial coverage so openly slanted towards how you look and what you wear (or don't) at the crags as it seems to be now. Perhaps the staff is angling for jobs in the fashion industry? Because that's where they really should be. "Lycra companies didn't sponsor climbers or advertise in the climbing magazines"
Remember Pearl Azumi? Not sure about the spelling of that brand but they definitely marketed lycra to climbers.